Preciously crafted out of mandrel bent 6061 grade aluminum tubing and TIG welded. Ends are bead rolled to prevent blow out under boost pressure. Includes High temp reinforced silicone couplers, clamps and installation hardware. 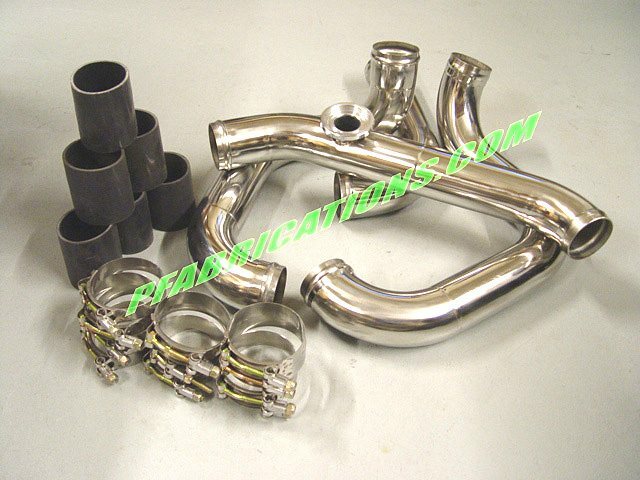 Works injucntion with our Top mount turbo manifolds. Choice of TiAL, HKS, or Greddy blow off valve flange. *Note - Intercooler not included.